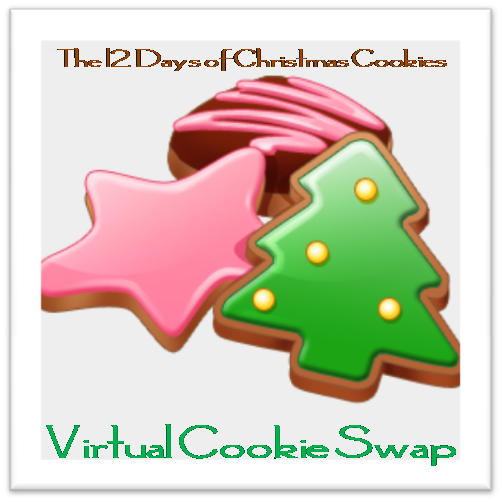 It's Day 11 of The 12 Days of Christmas Cookies -- I can't believe how quickly the past week and a half has flown by. 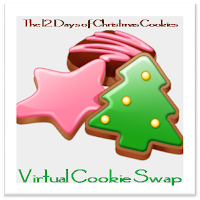 I hope you are enjoying Kathy's and my favorite cookie recipes! As many of you already know, my little guy has life-threatening food allergies to anything dairy. In addition, he is very allergic to peanuts, tree nuts and eggs so finding Christmas cookies that he can eat is a challenge to say the least. Today, I'm going to share with you a recipe for Holly Leaves that I can adjust a tad so that Booking Son can eat them. The ironic thing is that they are actually tasty and the entire family enjoys them. Plus they are very pretty and add some much-needed color to my cookie trays! Melt dairy-free margarine in nonstick pan. Stir in vanilla and food coloring. Drop in cookie sized mounds on wax paper. Place 3 cinnamon red hots in center of each cookie. I kept waiting, holding my breath, to see if anyone would post my favorite Christmas cookies and you did today. :) I have such fond memories of watching my mother making these, eating them (yum! ), and then making them myself. These sound so festive! I'm anxious to try them since they're Jennifer's favorite! How wonderful of you to post a recipe safe for food allergies! Oh, thank you! Finally, a recipe that doesn't tempt me! However, I think the kids in my house would have a blast making these -- and eating them, too! This is a great recipe to have. I know so many friends with various allergies and I love having a recipe that I can use for them. I have never heard of these. What a cute idea. I also have not heard of these cookies. thanks for a peanut free cookie!